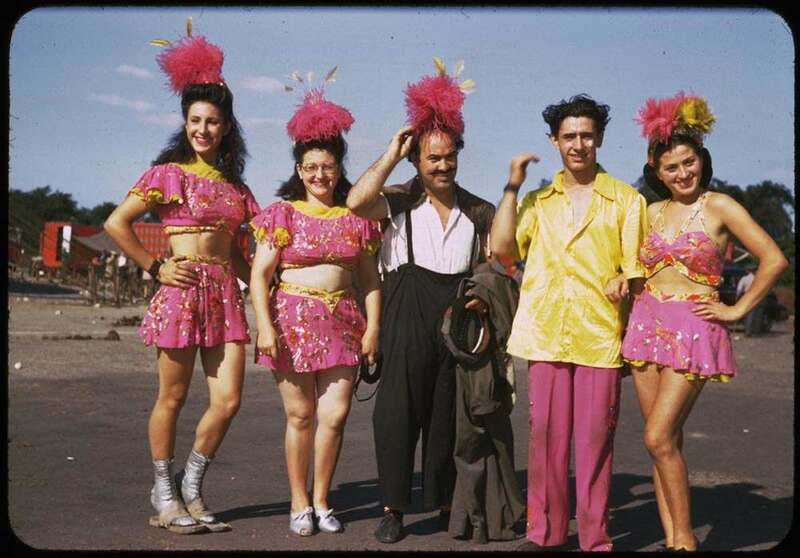 CW Cushman loved travelling and most years would take photographs of the Ringling Bros. and Barnum & Bailey Circus, the so-called Greatest Show on Earth. 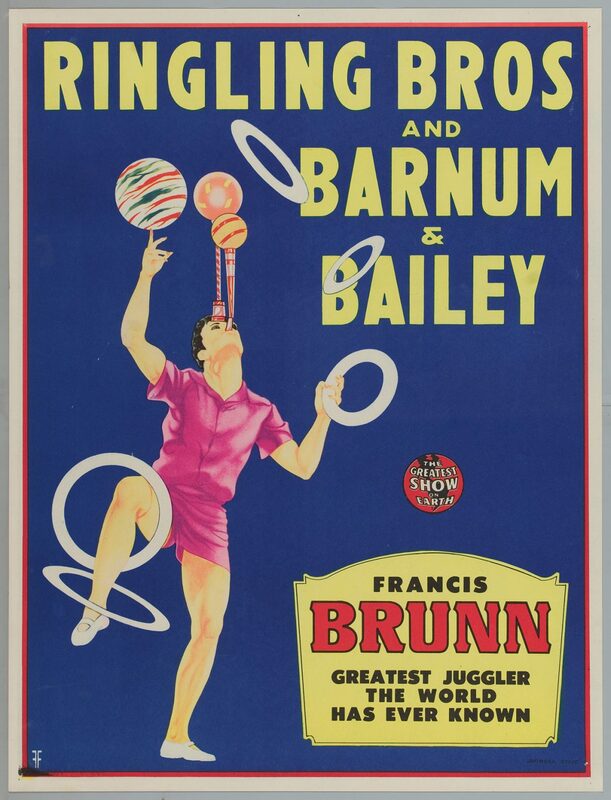 Ringling Bros. and Barnum & Bailey Circus, the so-called Greatest Show on Earth, was started in 1919 when the circus created by James Anthony Bailey and P. T. Barnum was merged with the Ringling Brothers Circus. 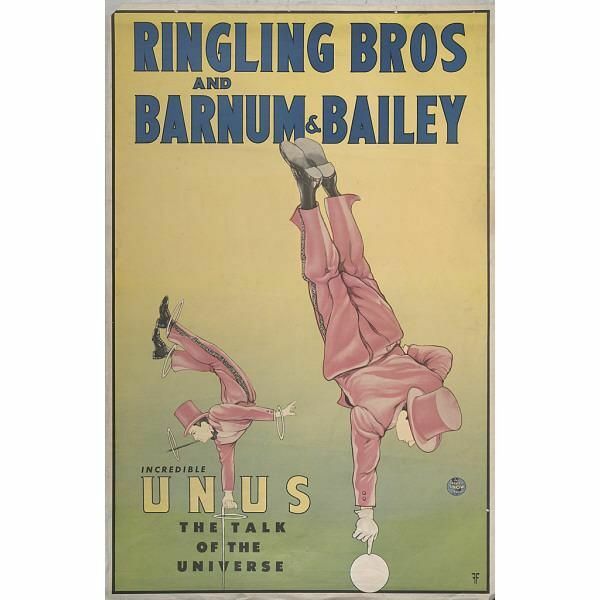 The Ringling brothers had actually purchased the Barnum & Bailey Circus in 1907, but ran the circuses separately until the proper merger. 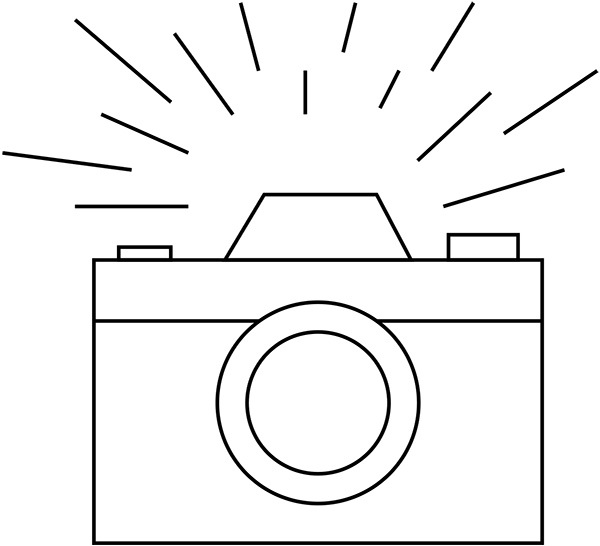 These photographs were taken by C.W. 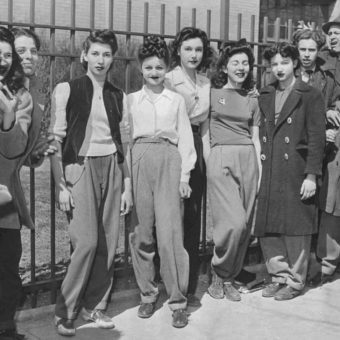 Cushman in the late 1940s. 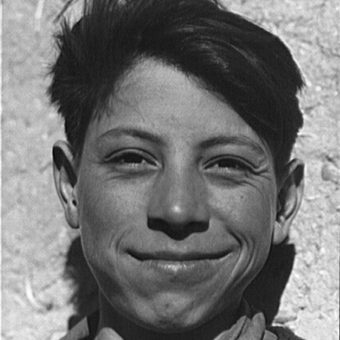 Charles Weever Cushman was born in Posey County, Indiana, in 1896 and became fascinated with photography as a child. 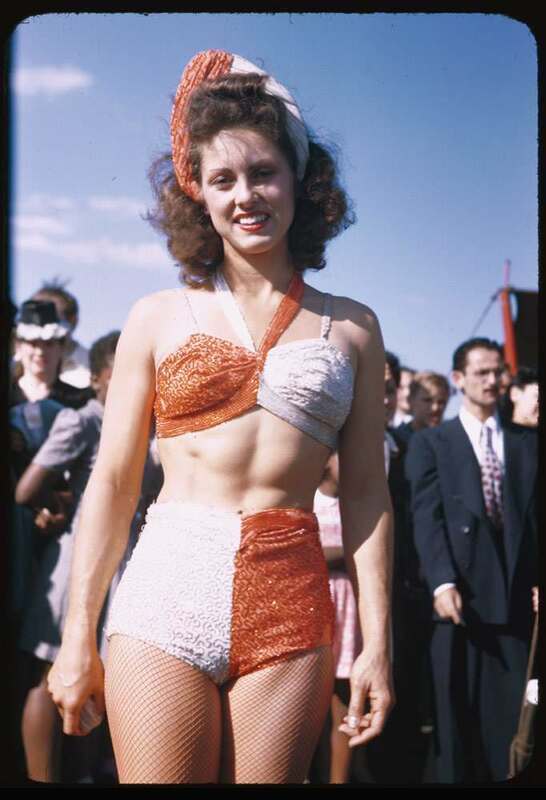 When he was in his forties, in 1938, he became an early adopter of the revolutionary color process, Kodachrome. Cushman always loved traveling mostly because of his job evaluating businesses for Standard Statistics, a forerunner to Standard & Poor. When it became possible in retirement, he traveled purely for pleasure. 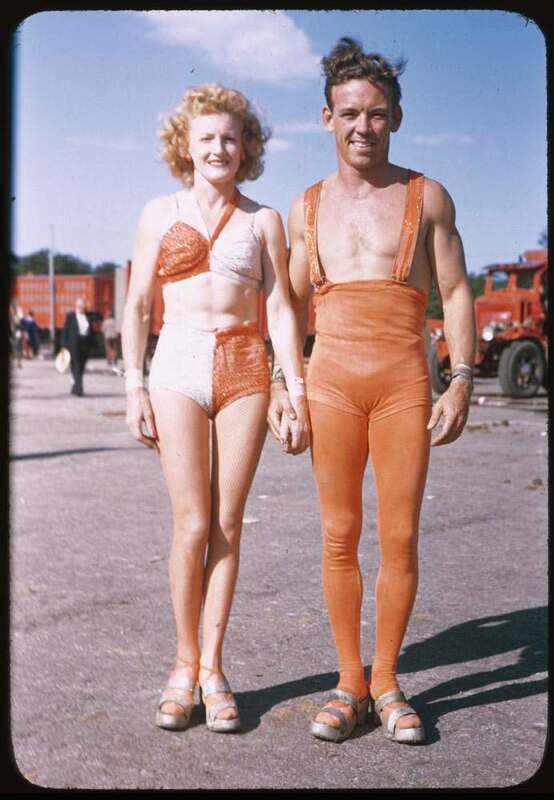 In the end his fascination and curiosity in people meant that he produced an utterly unique photographic record of twentieth-century America. 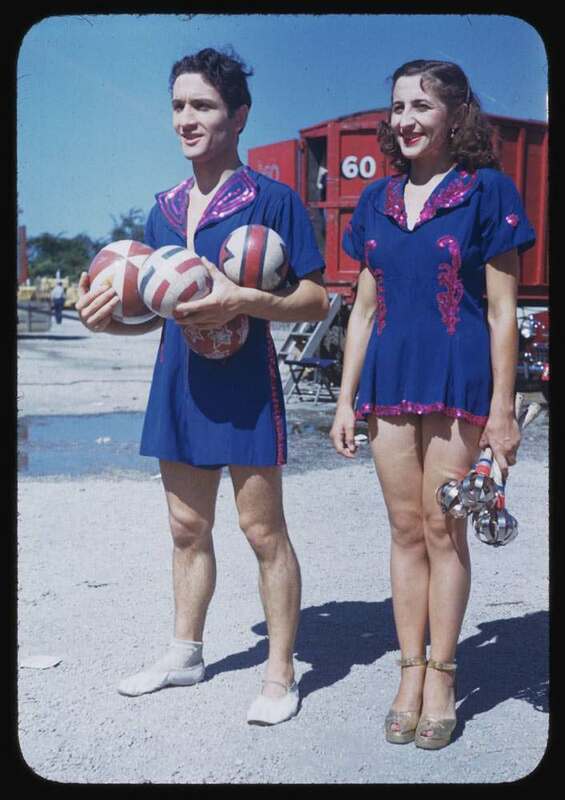 On July 6, 1944 in Hartford, Connecticut Clayton and Rose Behee were among the performers in the Ringling Bros. and Barnum & Bailey Circus show when a sudden fire engulfed the mammoth main tent and reduced all of the circus equipment to ashes. 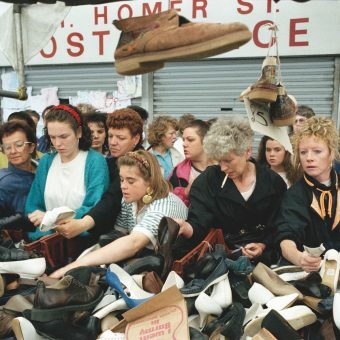 There were 168 (of 6,000) spectators killed by the fire. The Behees escaped. 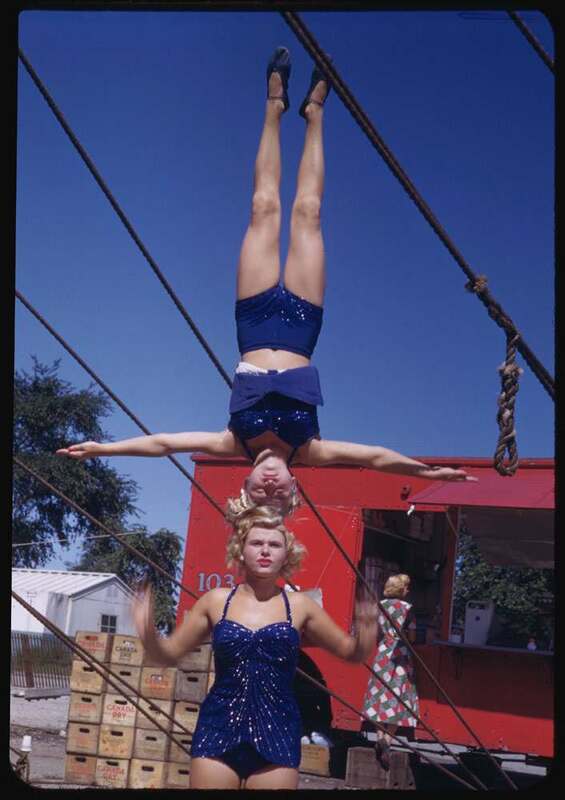 Rose was featured as the only woman flyer to perform a two-and-a half somersault to a catch by the feet while blindfolded. 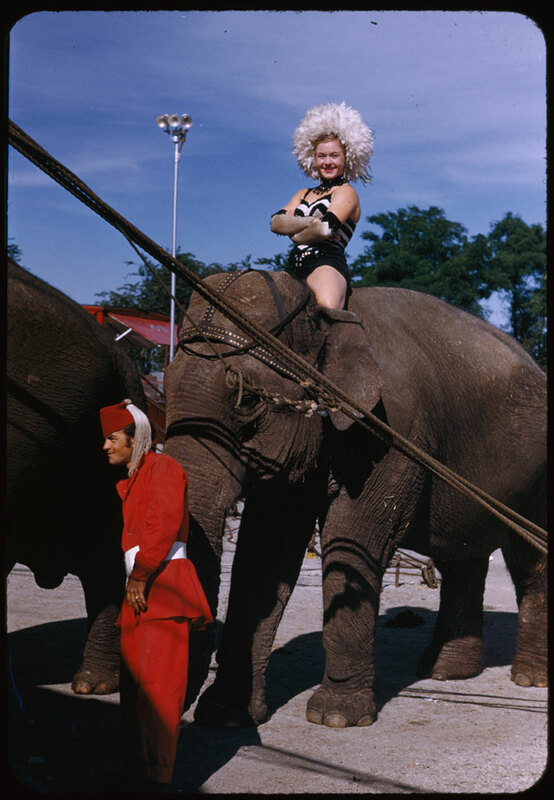 Ringling Circus Elephant and Mademoiselle Unus in 1949. 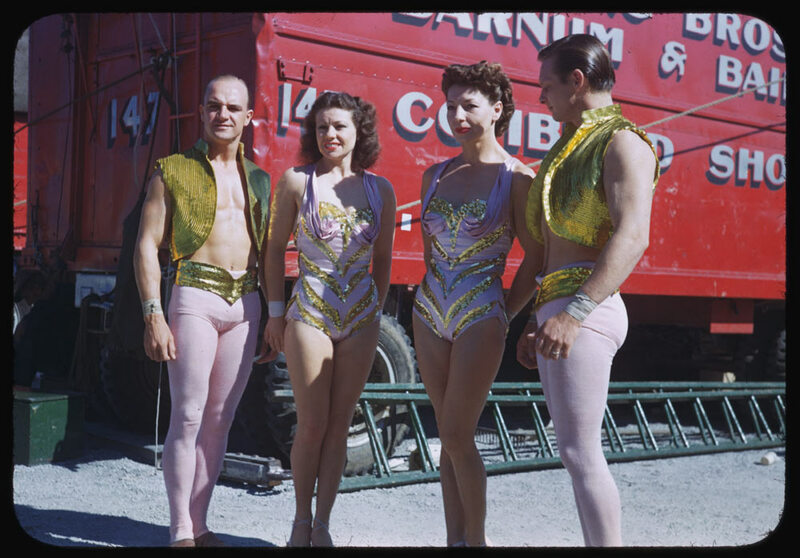 Charles Cushman Collection: Indiana University Archives. This is one of the daughters of Unus, born Franz Furtner, the most famous hand balancer of them all. 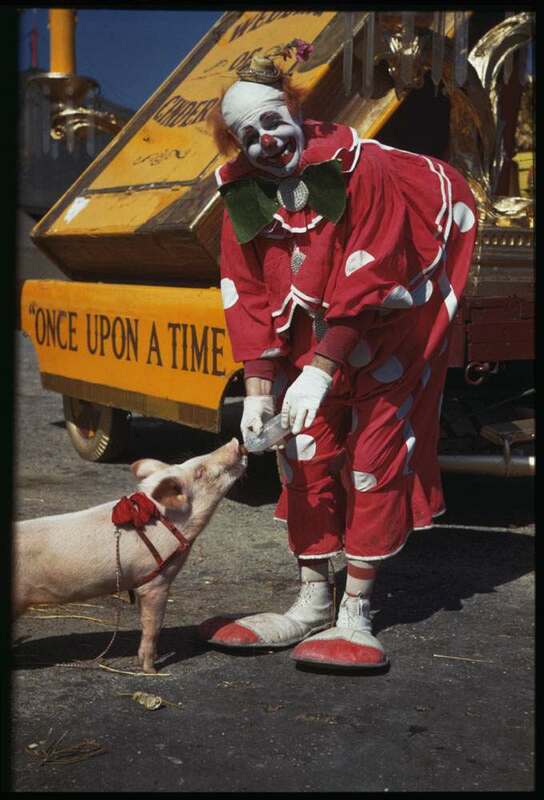 He was a true circus star in the United States and, consequently, all over Europe. 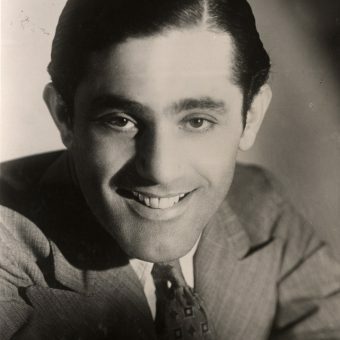 Unus was known as “The man who stands on his forefinger,” a feat he performed with outstanding and—to this day—unmatched showmanship. 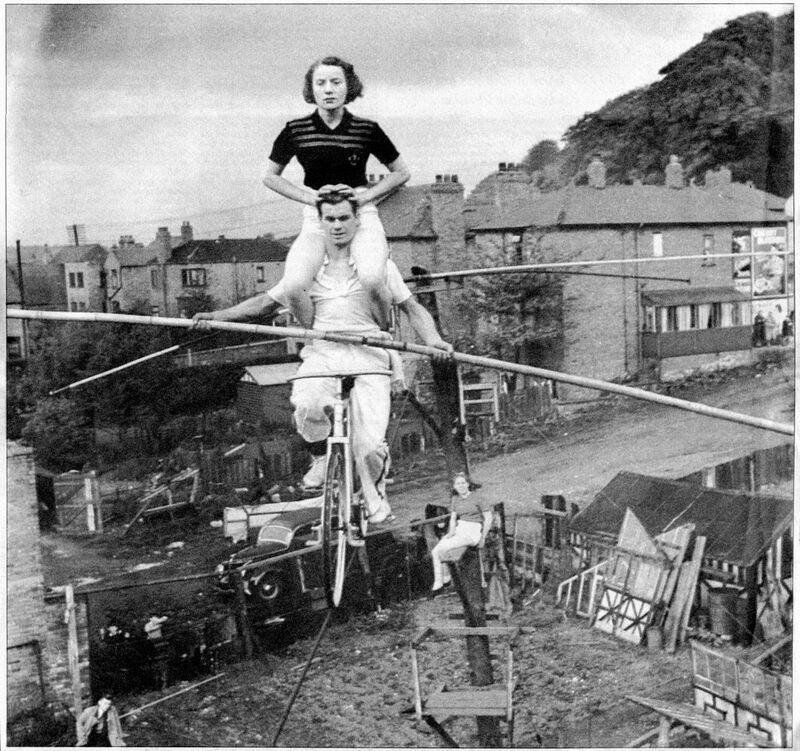 Harold Alzana (born Harold Davis) practicing with his sister, Elsie, in their backyard in South Yorkshire, England. 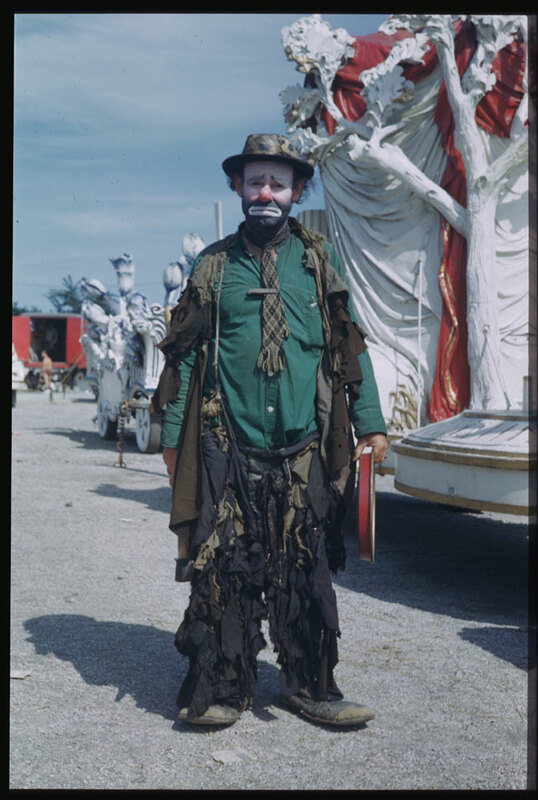 Clown Felix Adler, 1947. 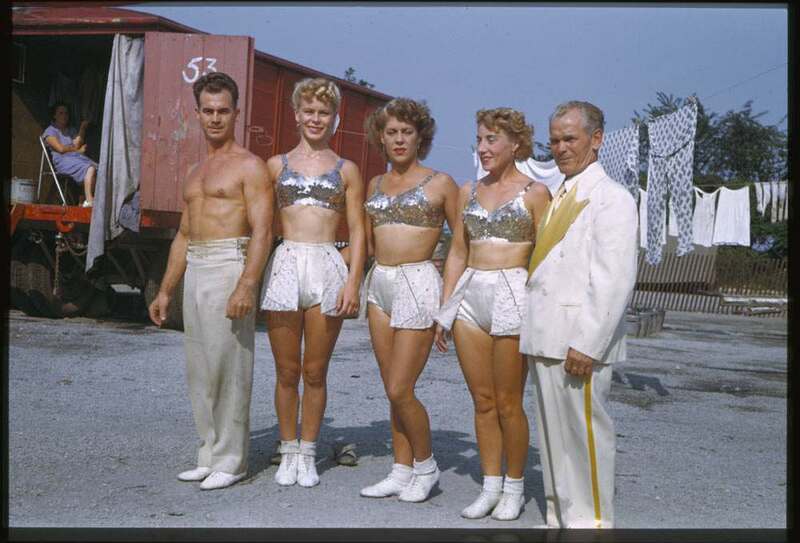 Charles Cushman Collection: Indiana University Archives. Baton wielder takes time out for a break, 1949. 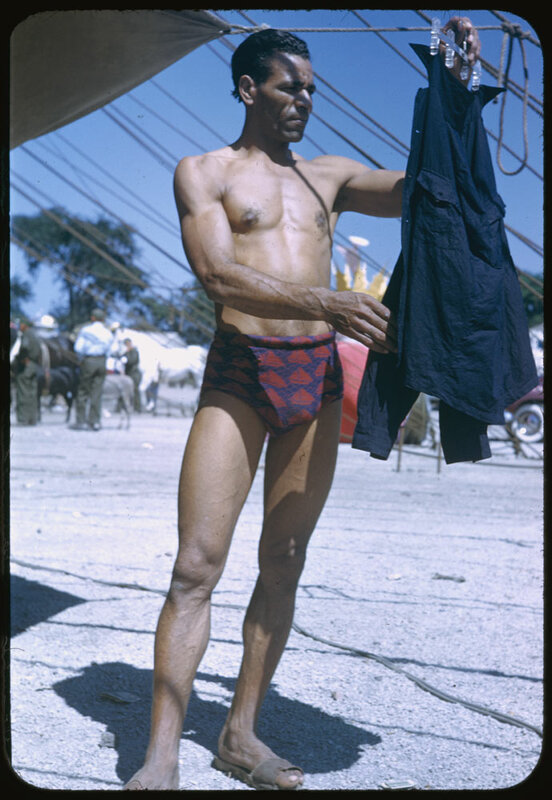 Charles Cushman Collection: Indiana University Archives. 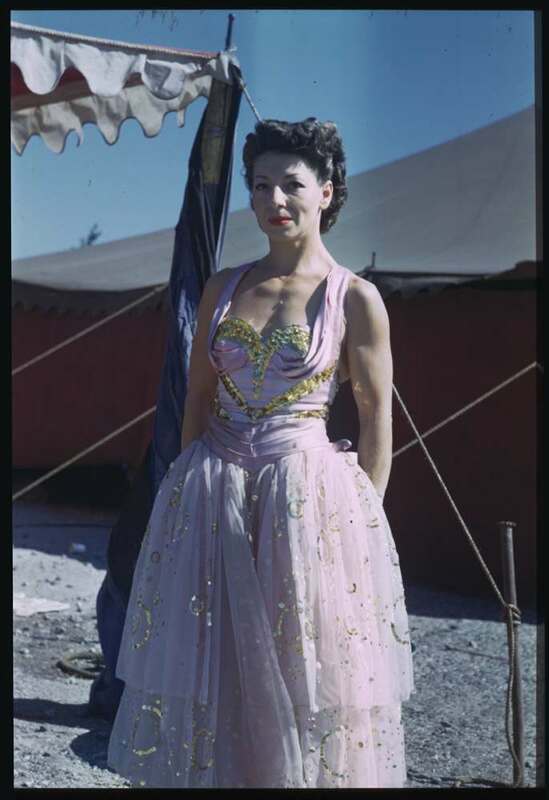 Alzana in costume for Gold Rush tableau, 1949. 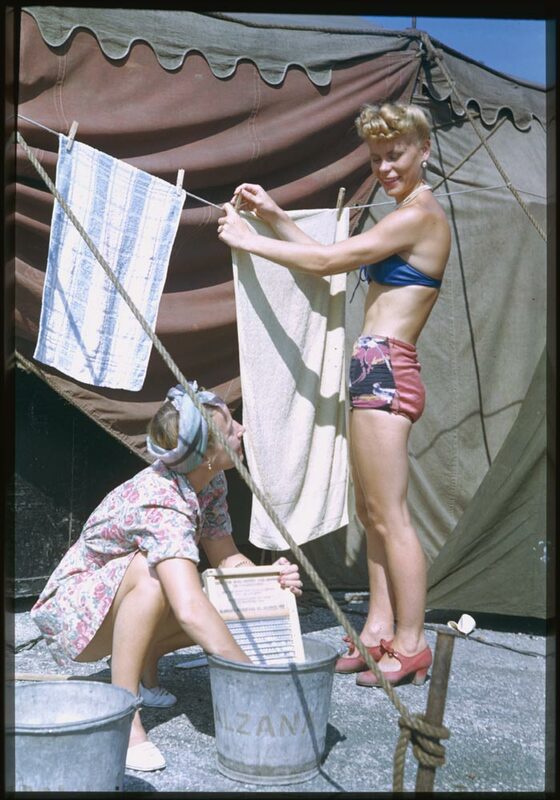 Charles Cushman Collection: Indiana University Archives. 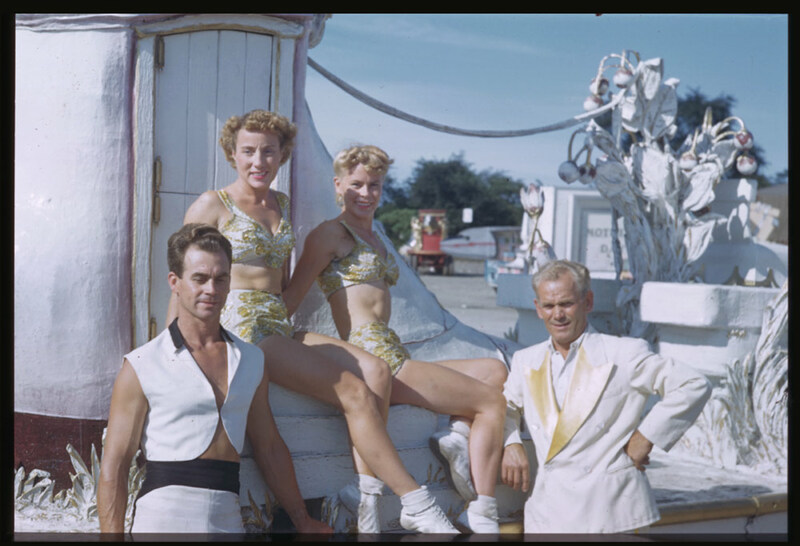 All five Alzanas Highwire performers at RIngling Circus, 1949. 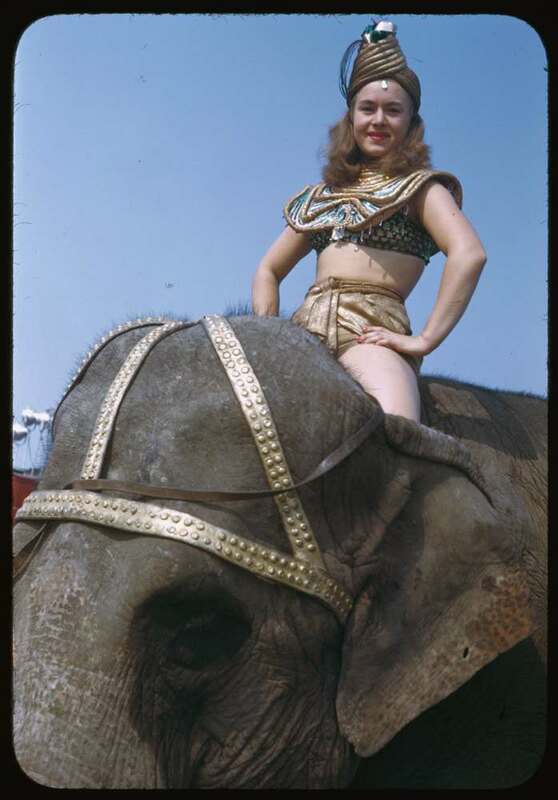 Charles Cushman Collection: Indiana University Archives. 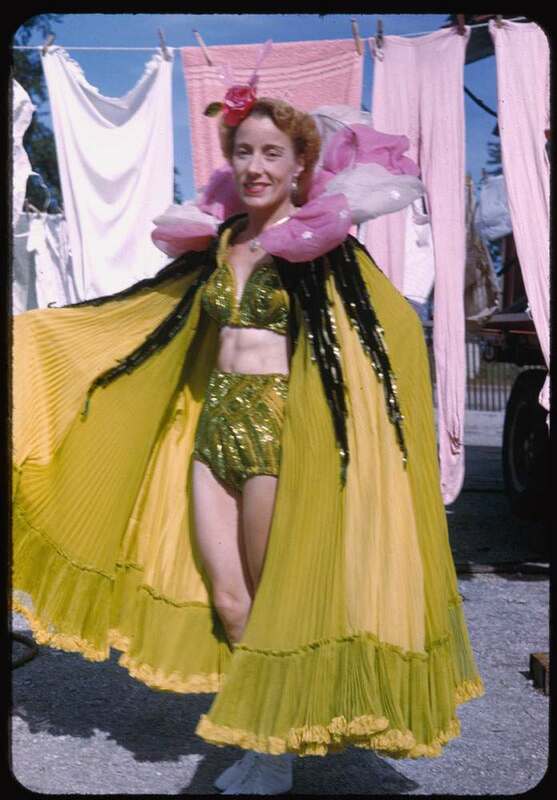 A ‘circus beauty’ in pale lavender cap, coat and shorts, 1946. 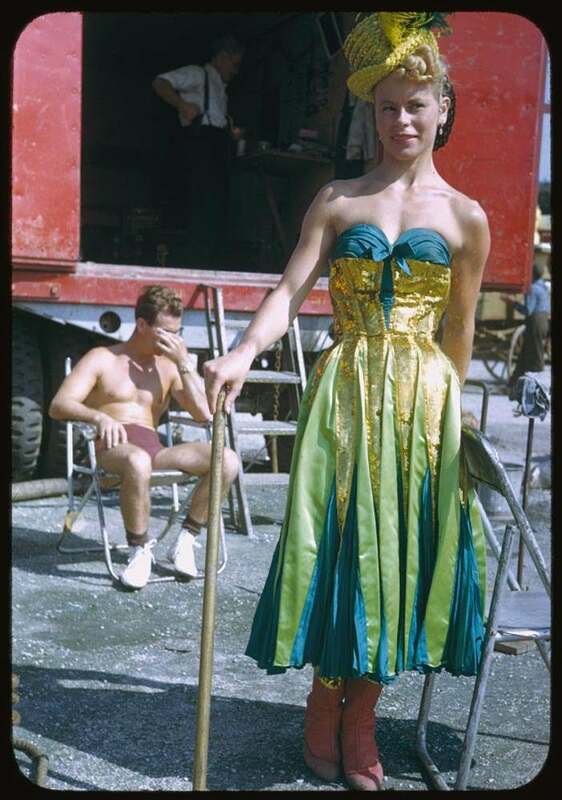 Charles Cushman Collection: Indiana University Archives. 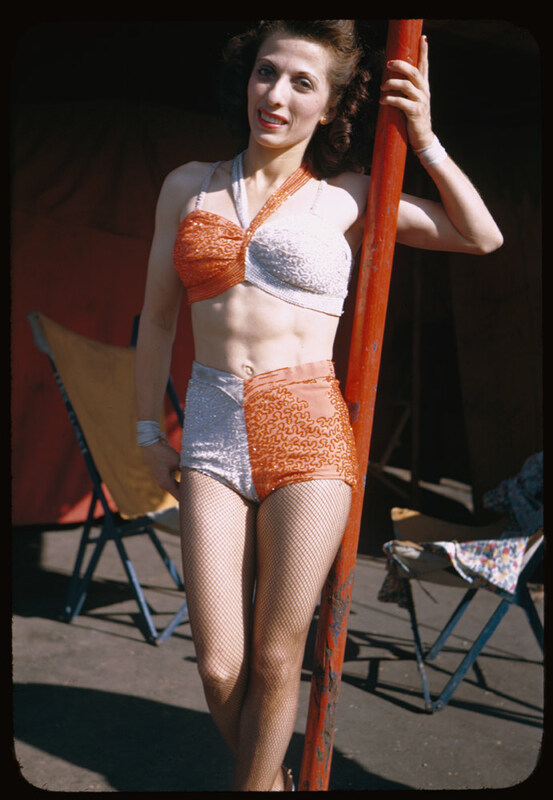 ‘A charming aerialist’, Ringling Circus in 1949. 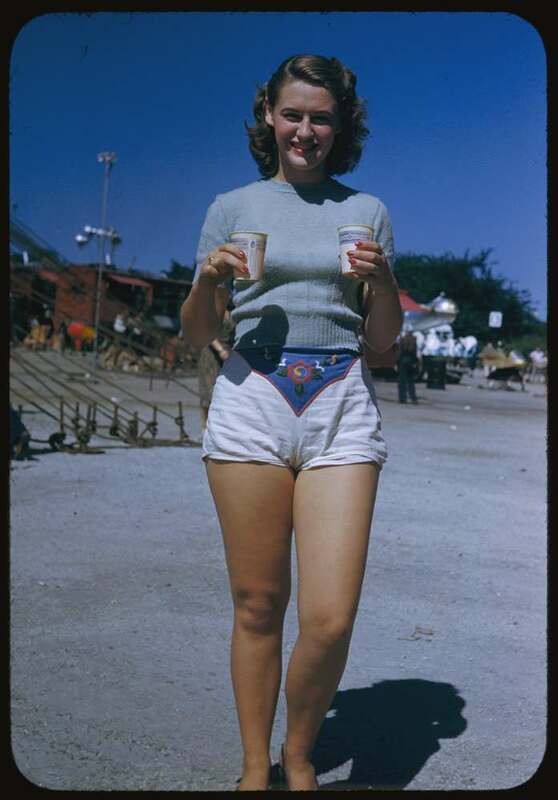 Charles Cushman Collection: Indiana University Archives. 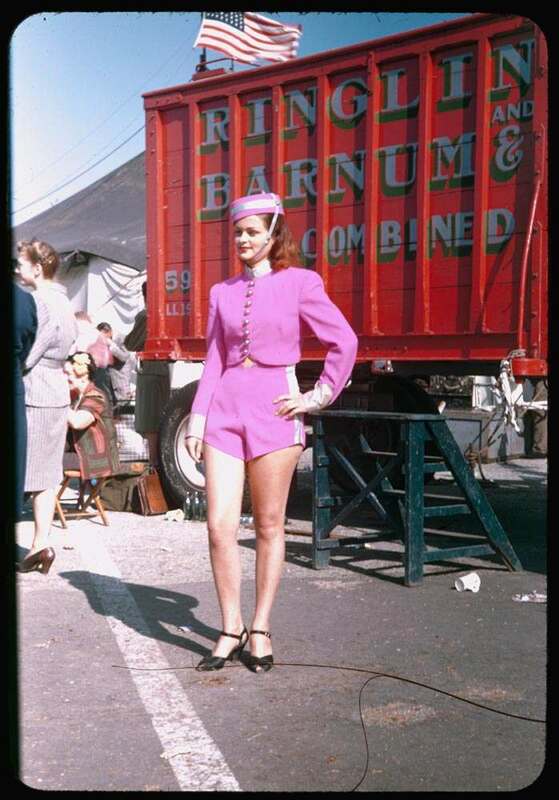 Trick bicycling act at Ringling Circus. 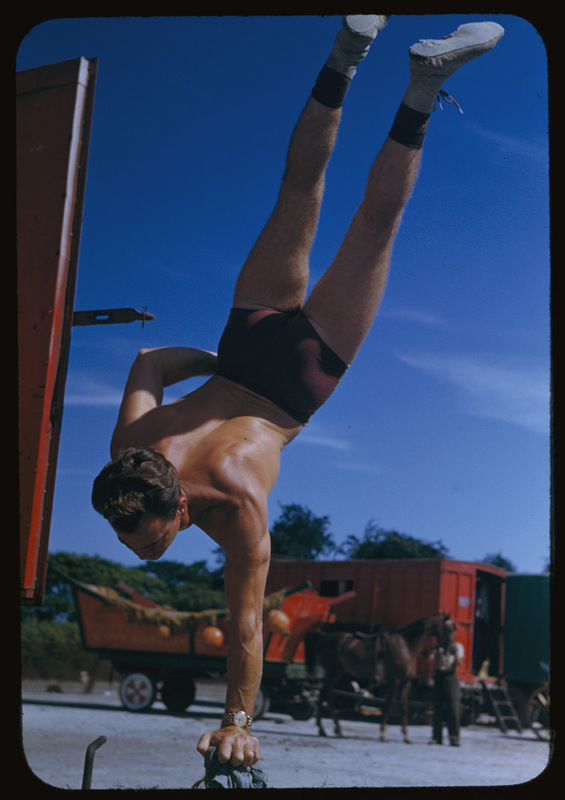 Charles Cushman Collection: Indiana University Archives. 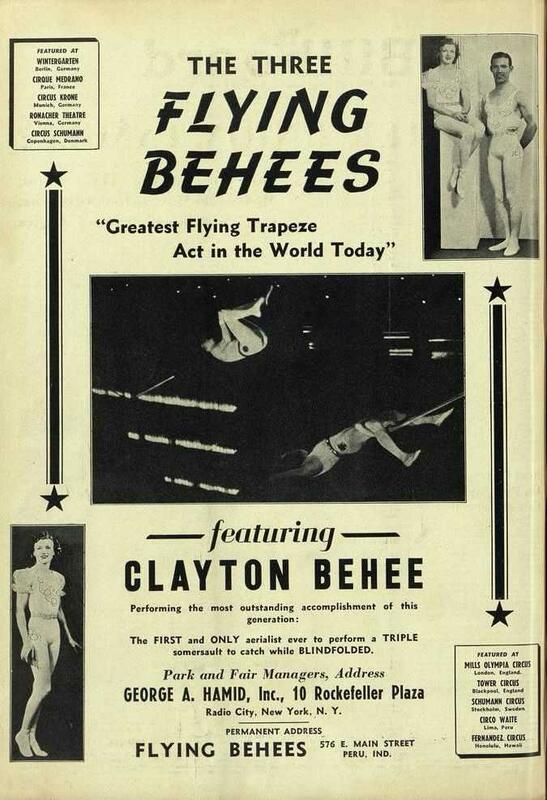 Rose Behee of the Flying Behees, 1946. 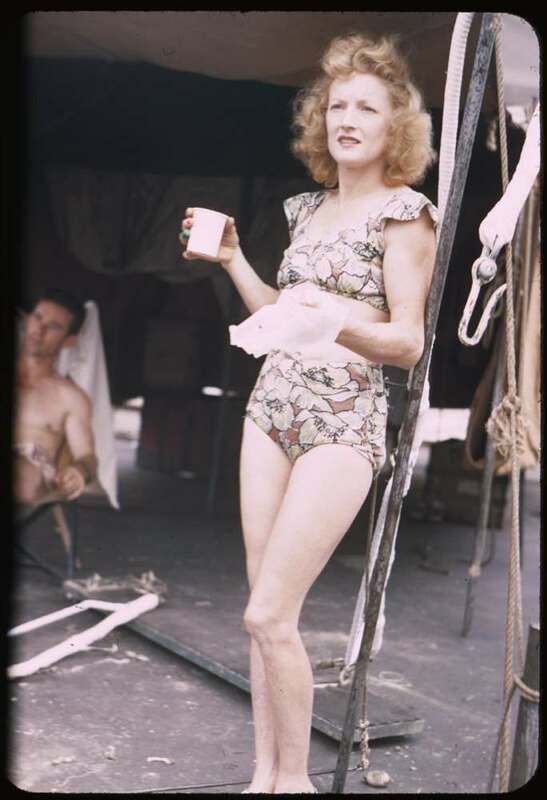 Charles Cushman Collection: Indiana University Archives.